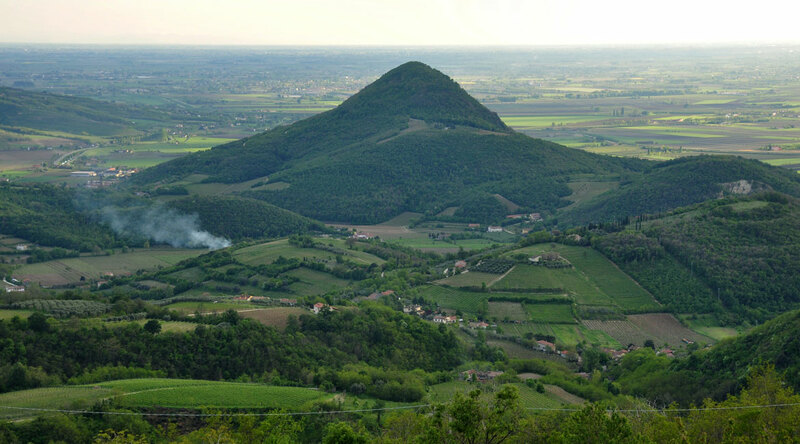 The Euganean Hills are a range of hills of volcanic origin, well insulated even in the topographically flat plain that stretches between the Adige and the Bacchiglione south-west of Padua, with small hills that are just over 600 meters above sea level, like the Venda hill. Has an elliptical shape - with major axis from north to south and minor axis from west - southwest to east-northeast - and covers an area of ​​15.096 hectares. To the northeast, the Euganean Hills bordering the conurbation of the spas of Abano Terme, now pertaining to the metropolitan area of Padua (about 12 km, northeast from the first hills), while to the south are developed the urban areas of Monselice and Este. To the west, the Euganean hills fade into the cultivated plain which separates them from the Berici hills, while on the east slope and disappear in the Lower Padua, land of reclamation still occupied by a predominantly agricultural matrix. 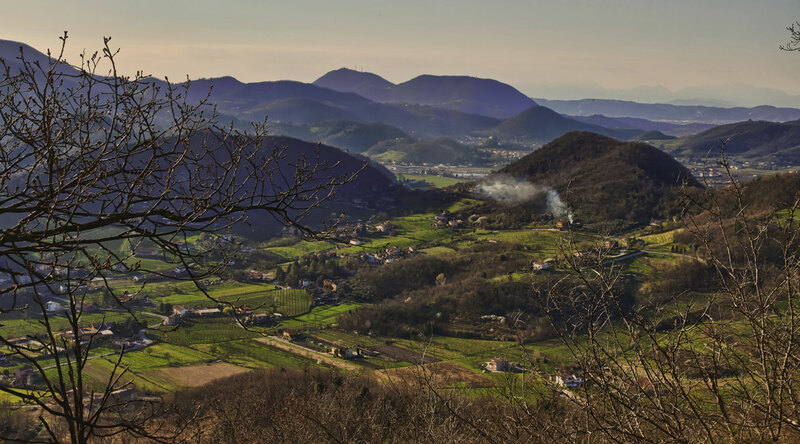 The Euganean Hills, that always have been recognized for their environmental features, today represent an island of high biodiversity within a scope lowland extremely depleted in naturalistic terms. In fact, the surrounding plain is subject to intense anthropogenic exploitation. 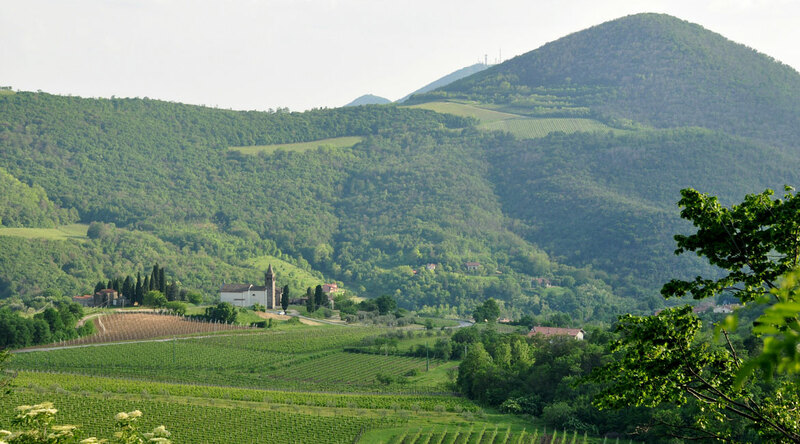 The Euganean Hills generate a landscape of alternating fields, olive groves, vineyards, forests of chestnut and oak walls of basalt and trachyte. 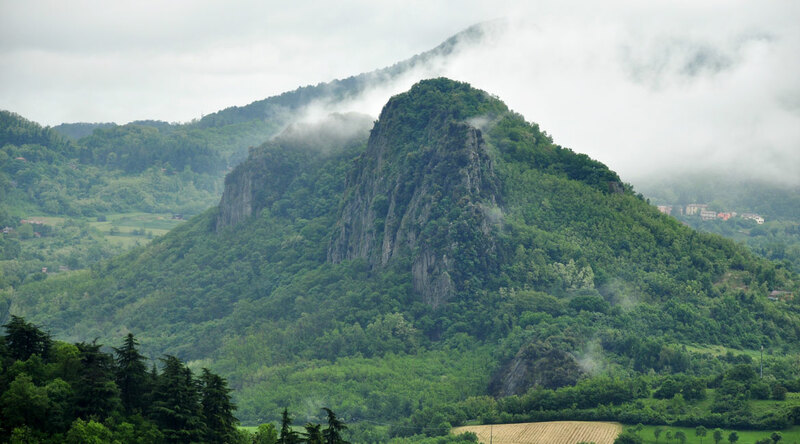 The whole is under the protection of the regional park of the Euganean Hills (www.parcocollieuganei.com); established in 1989, that comprises, in whole or in part, in 15 municipalities.